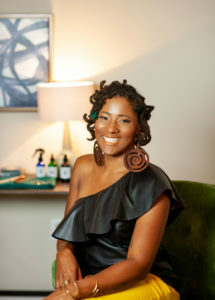 Jocelyn Reneé is a Licensed Cosmetologist, Sisterlocks™ Consultant, and Certified Loctician based in Maryland. She has over six years of professional hair care experience. Upon completing the Cosmetology Science curriculum at the prestigious Aveda Institute in Washington, D.C. she ranked at the top of her class. After earning her Cosmetology license, in Maryland and D.C., Jocelyn pursued advanced training in Multi-Cultural Hair Locking Techniques. Her passion for locs and textured hair has allowed her to work with major beauty brands including Mizani and Curls. Her enthusiasm for hair education has afforded her the opportunity to speak with hundreds of women at colleges and conventions. Jocelyn also utilizes her passion for holistic hair care to educate her online audience of over 75,000 followers on the best hair care practices for their locs and textured hair. Jocelyn’s motto is “Education is Key…it Begins Hair” because she believes the foundation of healthy hair, regardless of the texture, is hair care knowledge. It is her vision to internationally educate future hair care professionals on the beauty, culture and science of locs through her training program, NuGrowth Academy. When she's not teaching, Jocelyn is working behind the chair to inspire women to always love and embrace their crowns. At NuGrowth Salon we specialize in holistic hair care for locs and textured hair. With our approach to hair care, your total body wellness is always considered when recommending hair care, styles, and products for your lifestyle. When you begin a journey with us we start with a thorough consultation, including hair history, health assessment, and product analysis because hair care is more than styling— the foundation is knowledge. We not only want you to look great on the outside but feel great on the inside too! At NuGrowth Salon we utilize both professional grade and natural hair care products that address the hair care needs of our guests individually to maintain or restore the health of the hair. When caring for locs, we condition the hair with an herbal rinse and our palm-roll maintenance is performed with all natural lightweight, water-soluble products. 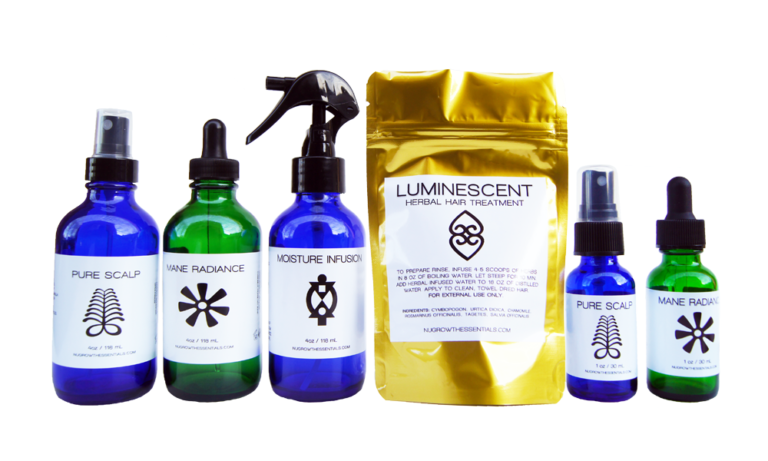 At-home care instructions provided and products are available at your appointment, which include solutions from our product line, NuGrowth Essentials. The NuGrowth Essentials collection is formulated to nourish the hair and scalp in-between visits. NuGrowth Salon specializes in holistic hair care services for locs, Sisterlocks™ and natural hair of all textures. We believe in educating our guests at every visit on health, wellness, and hair care. © 2016 – 2019 CurlyNuGrowth, LLC. All rights reserved.